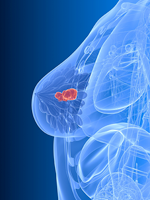 Madrid, Spain—Immune checkpoint inhibitor therapy is a relatively recent advance in the treatment of several types of cancer and has received much media attention. As healthcare professionals gain more experience with checkpoint inhibitors, it is important for them to understand that the toxicity profiles of these drugs differ from those of chemotherapeutic agents. “All drugs are dangerous. For many years we had no good treatments for melanoma, and in 5 years we have had new drugs approved that achieve durable responses. Approvals have happened rapidly, so we don’t have good data on risks. The data are coming in slowly, but meanwhile our patients are suffering,” said Gilliosa Spurrier-Bernard, President, Melanome France, and Core Member, Melanoma Patient Network Europe, Clermont-Ferrand, France. At the 2017 European Society for Medical Oncology Congress, Mrs Spurrier-Bernard told attendees about Melanoma Patient Network Europe, a loose network of grassroots organizations throughout Europe that is now collecting patient-reported data related to the side effects of immunotherapy in melanoma. Side-effect reports from patients are sent to VigiAccess, a website that includes all side effects reported for drugs worldwide. Although not a systematic review, VigiAccess allows patients and physicians to identify toxicities reported for any drug. Melanoma Patient Network Europe educates patients on the details of checkpoint inhibitor therapy and symptom terminology, and provides them with peer-reviewed data, including copies of publications where side effects have been reported. It also connects patients with experts. Common side effects are cited in clinical trials, but rarer side effects don’t get much attention. “We share negative outcomes and lack of action. We learn from this. Networking is important. Recording the side effects of immunotherapy will lead to data-supported strategies sooner rather than later. Patients need to know that side effects can persist for years even if they are cured,” Mrs Spurrier-Bernard explained. Paolo A. Ascierto, MD, Director, Unit of Melanoma, Cancer Immunotherapy and Innovative Therapy, Istituto Nazional Tumori Fondazione G. Pascale, Napoli, Italy, explained that checkpoint inhibitors have unique side effects. “The most important side effects are cutaneous, hepatic, and endocrine. The most common are diarrhea, fatigue, nausea, pruritus, and rash,” he explained. Clinicians and patients should be aware of serious side effects, such as Stevens-Johnson syndrome, colitis/diarrhea, and endocrinopathies (eg, hypophysitis). “Early diagnosis and early treatment are critical. Patients should be educated about how to recognize potentially serious adverse events that can be severe, life-threatening, and involve various organs. Systemic high-dose corticosteroids may be required for severe events. Unless an alternate etiology has been identified, consider all signs and symptoms as immune-related adverse events,” Dr Ascierto said. Most mild side effects can be managed with low-dose steroids, but if side effects worsen, they may require hospitalization with high-dose intravenous steroids. Generally, skin and gastrointestinal adverse events will resolve after the third cycle of treatment. “We have seen that there is a correlation between hospitalization for serious adverse events and the number of patients on ipilimumab,” he told the audience. Side effects can occur 2 to 3 months after starting checkpoint inhibitors and resolve after 6 to 8 months. Combinations of checkpoint inhibitors increase the risk for serious adverse events. For example, approximately 70% of patients treated with ipilimumab plus nivolumab reported treatment-related grade 3/4 adverse events. “We need to follow patients. Even when treatment is stopped they continue to respond and can have late side effects,” Dr Ascierto said.